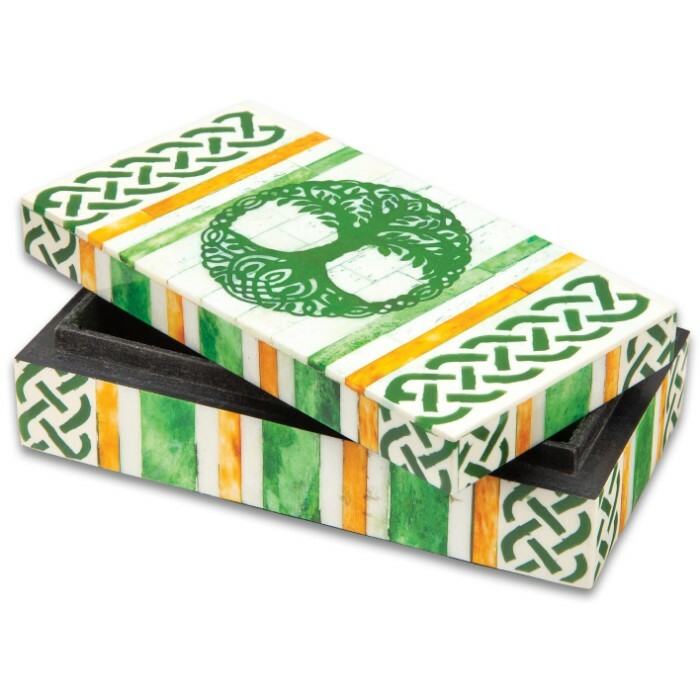 Celtic Tree Of Life Bone Box - Genuine Bone And Wood Construction, Felt Lined Interior And Bottom - Dimensions 6 1/4”x 3 1/4”x 1 3/4” | BUDK.com - Knives & Swords At The Lowest Prices! 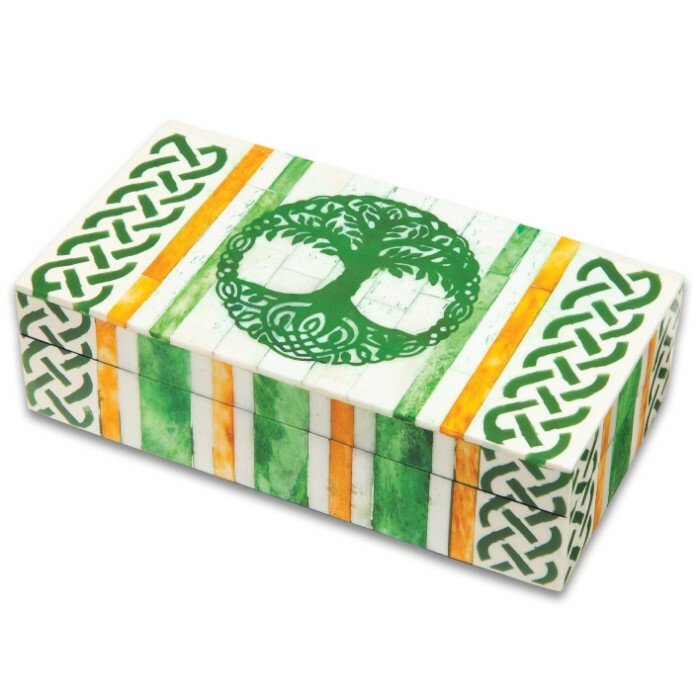 Our Celtic Tree of Life Bone Box is a beautiful, vintage-look trinket box perfect for storing small valuables, which are worn or used frequently like wedding rings, keys or change. 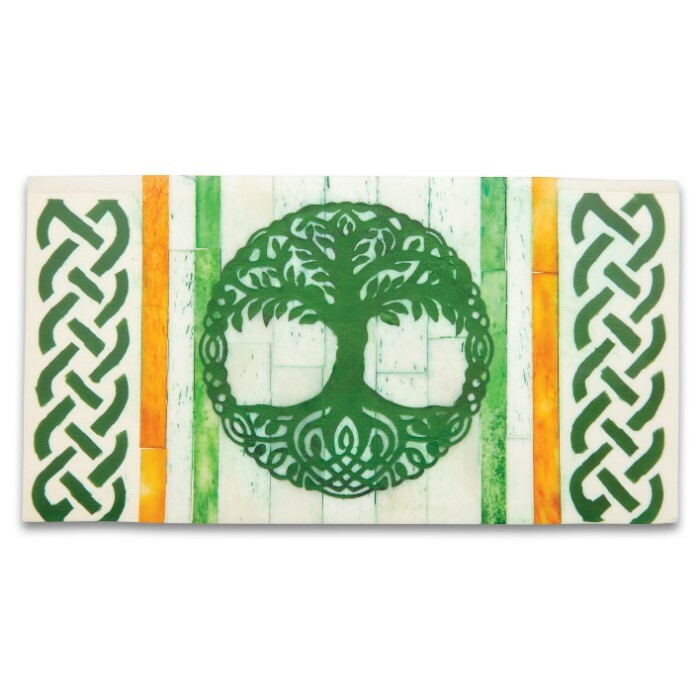 It has the ancient and magical Celtic Tree of Life design engraved on the center of the lid in Kelly green, accented by a background of green and orange stripes and bookended by Celtic knotwork. The background design and knotwork of the lid is continued onto the box itself. 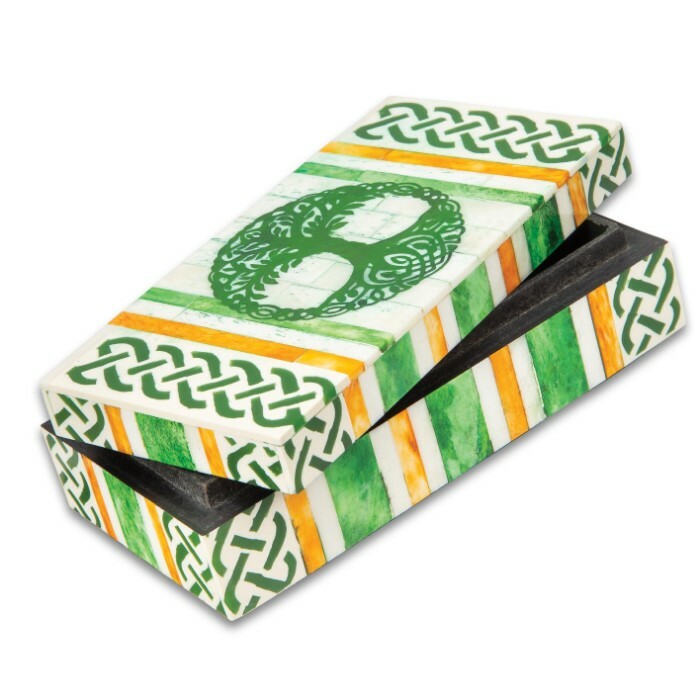 The attractive box is crafted of wood with overlaid genuine bone panels and it has a green felt lined interior and felt on the bottom of the box to protect your furniture. 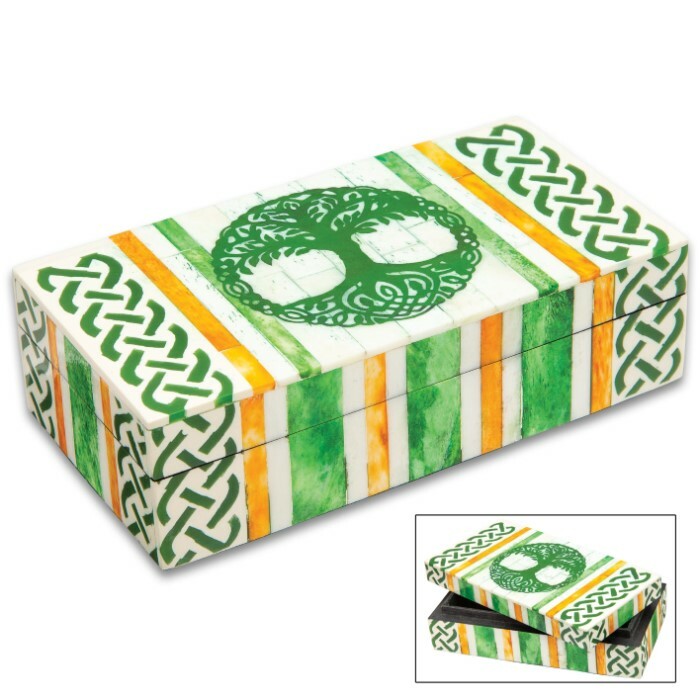 The removable, felt lined lid fits securely on the 6 1/4”x 3 1/4”x 1 3/4” box and the inside dimensions of the box are approximately 5 1/2”x 2 1/2”x 1 1/4”.